Inbox “works for you” rather than making the process of going through your emails a chore. It does this via Bundles, Highlights and Reminders. Bundles is a smarter take on categories introduced in Gmail last year. It ‘bundles’ similar mails into one so that you can quickly review them and then take the appropriate action. For example, it will automatically bundle all your bank statements together so that you can go through them in a jiffy and dismiss them. 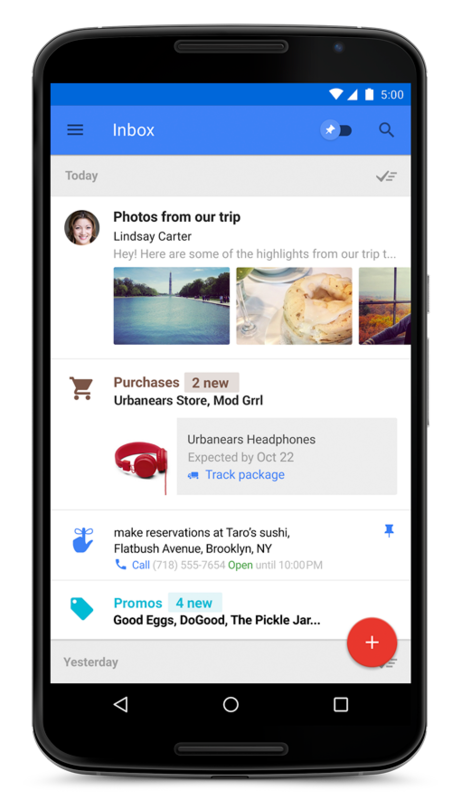 With Highlights, Google wants to make it easier for you to go through emails by automatically highlighting key information from them. For example, it will automatically display your flight information along with other relevant information like its real-time status to make your life a wee bit easier. Coupled with Bundles, these two features work together to provide you all the information you need at a glance. 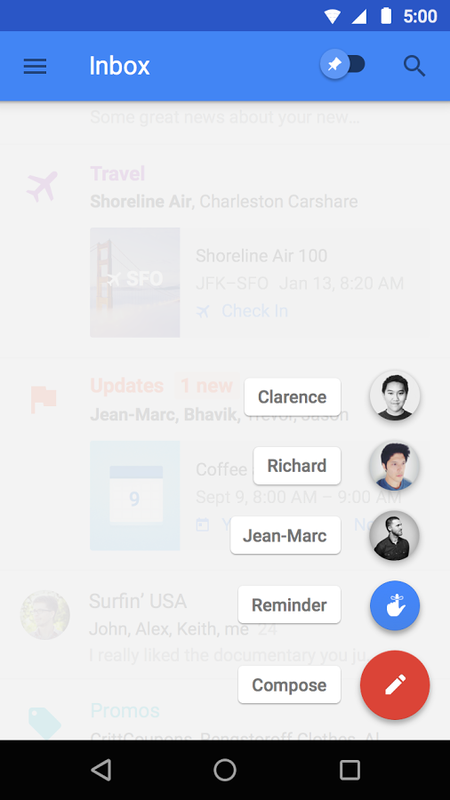 Reminders is another major asset of Inbox that — as its name suggests — allows you to add reminders to your emails. Then, when you get back to that reminder later on, Assist will display information that is relevant to it. For example, Google says that if you set a reminder to call the hardware store later on, Assist will automatically provide you with its phone number and inform you whether the store is currently open or not. 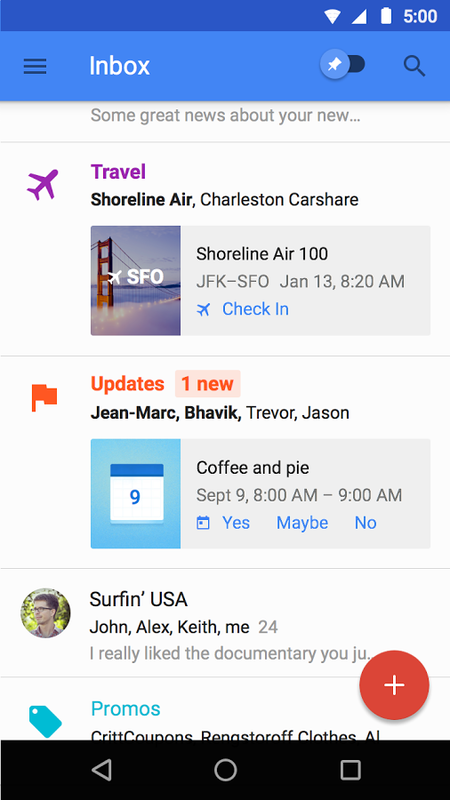 Inbox will also provide you with the option to snooze emails or reminders for a later time or when you get to a specific location. 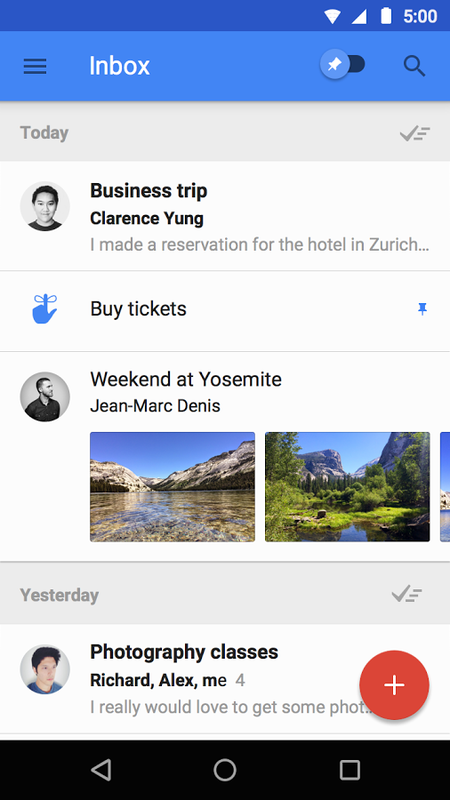 Inbox by Google will be available on Android and iOS as a separate app. Sadly, for now though, Inbox is in invite only mode just like Gmail was when it was launched initially.